It has been a long time oh my weapon! I long for you in my struggle! Oh war it has been a long time. With lives ready for sacrifice. From you in the fire of the battlefield. Never to go to waste. Who shall protect Free Kafuristan? We shall protect her with our weapons. Land of the Revolution, who will sacrifice for her sake? We will, with our souls. Earthquakes digging the enemy into their graves. The subnational divisions, also referred to as regions[? 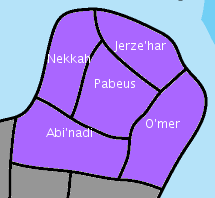 ], of the Jumhuriyyat al-Qalb al-Ma'atraniyyah (Kafuristan) are each referred to as a Governorate (Muhafaza). Random fact: Each user account may only be used by the player who set it up. Handing over an account to another player is not allowed.